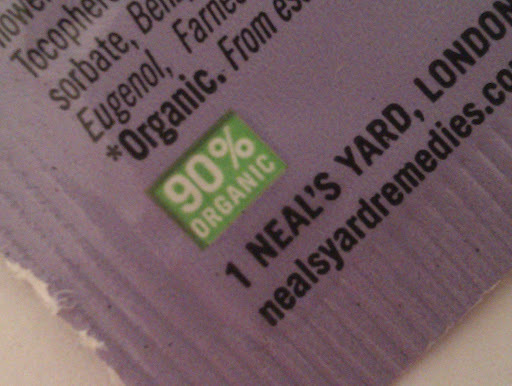 If you follow me on twitter and facebook, you probably know that October, 1st I’ve been at Neal’s Yard Remedies Organic Vitality Day. I won’ talk you about the event now (by the way, do you want me to write a post about it? 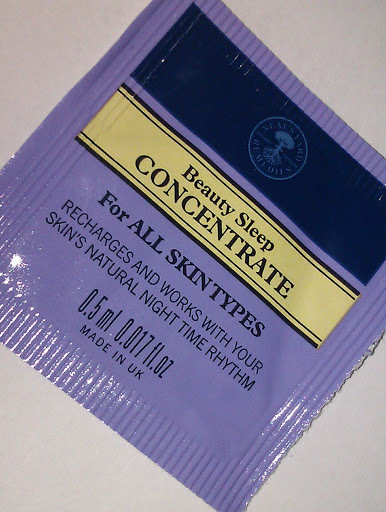 ), but I would like to share my opinion about their famous and awarded Beauty Sleep Concentrate. I’ve got two samples (5ml each) and they lasted me for about 6 uses. As you might know, our cells renew their selves during sleep, especially between 11pm to 4am, and that’s why you should use a good night cream. Beauty Sleep Concentrate is formulated not only to support our skin’s natural night time regeneration, but also to reduce the appearance of fine lines and wrinkles. It is lightweight and gets easily absorbed. You can apply it before or after your moisturizer.I like to apply it before because I feel it is better for my skin. Then all you have to do is sleep tight! Does it work? I think so! In the morning I feel my skin smooth, moisturised, refreshed and recharged. You can tell it’s a must have product for moms that go to bed at 12pm, wake up at least 2 times during the night and finally start their day at 8am(or earlier). Even if it is a medicinal cream, it doesn’t smell like it. It has an amazing calming scent of Clary Sage, patchouli, orange and Ylang Ylang. It relaxes me and help me sleep in a moment. Would I buy it? Absolutely!!! This treasure has to be mine! And it will! You can also find it at feel unique or beautypaths.eu. 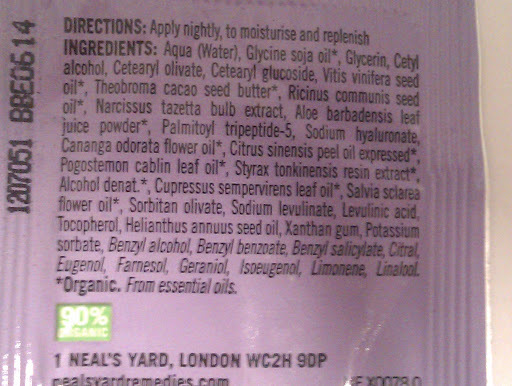 Have you ever tried Neal’s Yard Remedies products? Do you like them? P.S. : There’s a giveaway open! 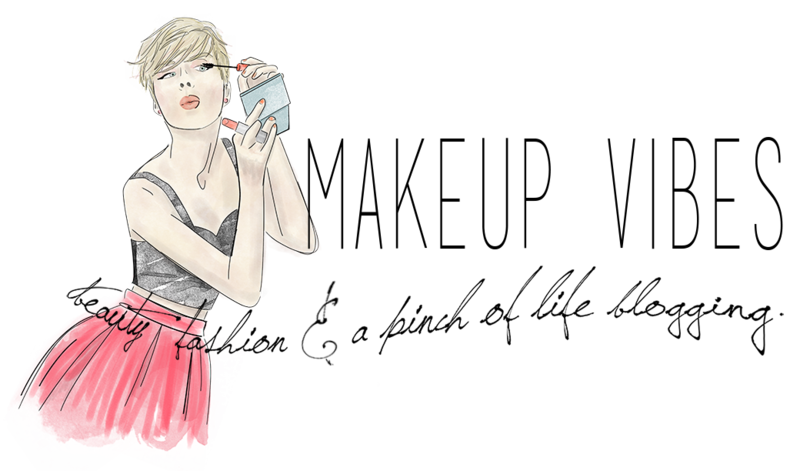 Don’t forget to enter here for a chance to win a fragrance! Αν μπορέσεις να πας! Εγώ ενθουσιάστηκα! Οι μυρωδιές είναι κάπως έντονες λόγω των αιθέριων ελαίων, αλλά μετά απο λίγο ''ηρεμούν''. Επίσης, έμεινα ιδιαίτερα ευχαριστημένη με την κρέμα ματιών με λευκό τσάι! Μειώνει τους μαύρους κύκλους σε μόλις 2-3 εφαρμογές! πολυ ωραιο το review!! ηθελα να παω απο το καταστημα να μαθω περισσοτερα για τα προιοντα αλλα ολο κατι μου τυχαινει ευτυχως εχω κ εσας να ενημερωνομαι κ να διαβαζω αποψεις!